Bayazid Ansari (Pir Roshan) died in 1572 AD . Bayazid was followed by his eldest son, Shaikh Umar. Akhund Darweza , along with his followers , continued his opposition , even after the death of Bayazid. He instigated the Gujjars (The Yousafzai's 'hamsaya') against Shaikh Umar. The Gujjars dug out the dead body of Bayazid. Shaikh Umar got timely information and before the Gujjars could take away the coffin, he reached the graveyard , intercepted the Gujjars, some of whom were able to escape while some were captured. He brought the coffin to his house. On interrogation, the captured Gujjars told them that they are Hamsayas (dependents) of Hamza Khan Akozaey Yousafzai. The followers of Shaikh Umar retaliated and took away the cattle belonging to Hamza Khan Akozaii . Consequently, because of Akhund Darweza's pressures , Shaikh Umar had to quit and cross over into the Mandar's territory. Hamza Khan chased him out to Khanpur. Shaikh Umar carried along his father's body also. He took refuge with the Dilazaks along the river Indus where he was betrayed and killed along with his staunch followers , namely Mullah Zikriya, Mullah Umar Kheshgi , Mullah Meru and Ayub. The Dilazaks threw away Bayazid's coffin in the river Indus. However , it was recovered by some followers of Bayazid. They informed the surviving son of Pir Roshan Jalaluddin about it (the injured Jalaluddin had escaped Dilazaks by jumping into the river Indus). 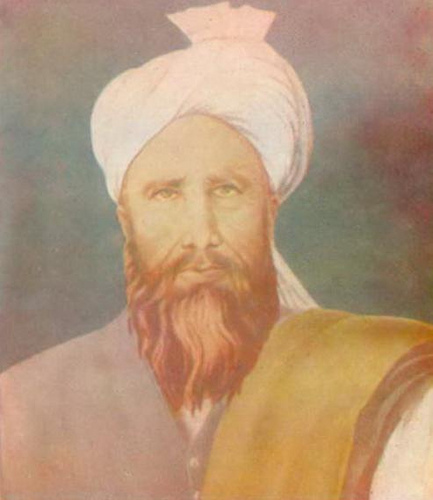 Jalaluddin buried his father's coffin in Idak at Tochi valley (North Waziristan). Reportedly, the bones of Bayazid were recovered and burnt and his widow, to humiliate her, was made to marry a menial drummer (dam).